Get Your eBook Download Today! Do you have a newborn in the family? Are you struggling with getting enough sleep? Does your baby wake up every time you lay her down? Does he have trouble falling asleep and staying asleep? Will she only sleep in your arms? Is he often fussy in the evenings? This book will help you solve these common newborn sleep problems quickly! Learn better sleep strategies from a professional postpartum doula. Your newborn needs to eat often, but that DOESN’T mean that you need to lose sleep! 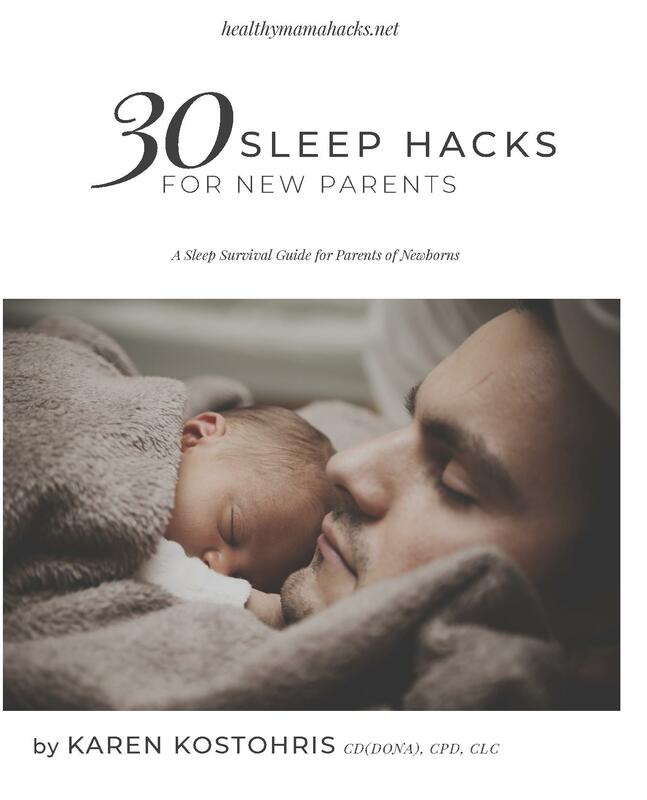 Find out great ideas to maximize your sleep as parents, as well as great sleep “hacks” to help your baby sleep more soundly between feedings. Is it possible to get better sleep with a newborn? The answer is YES! Find out how in this great little survival manual for new parents. This survival guide is not your normal baby sleep book. It is PACKED full of very practical, “hands-on” tips to help new parents start sleeping better TODAY! As a night doula, I have helped hundreds of families with sleep solutions. Along the way, I have figured out some great sleep hacks to help maximize sleep. I have written this book to teach new parents how to avoid sleep deprivation with their newborn and I share all my sleep doula secrets, tips and strategies! This promotional offer is available exclusively on Amazon. Download your copy today! “Great short, informational read! This book is full of helpful tips that are easy to implement. The “hacks” really helped and my baby is sleeping so much better! I wish I would have found this book a few weeks ago! Would definitely recommend to new moms! !” – Elizabeth T.
“As a mother of three, I wish I had known all this with my first! I’ve started using these tips with my new baby and it’s working! This wisdom is making a huge difference for our family’s sleep!” – Ruth G.
“I already read most of it today while nursing my 9 month old and found it so helpful! Lot of helpful info, good reminders, and a few new tricks to try next time around!! Neither of our kiddos have been “good sleepers” so I know I will refer back to this if we are blessed with more!” – Claire C.